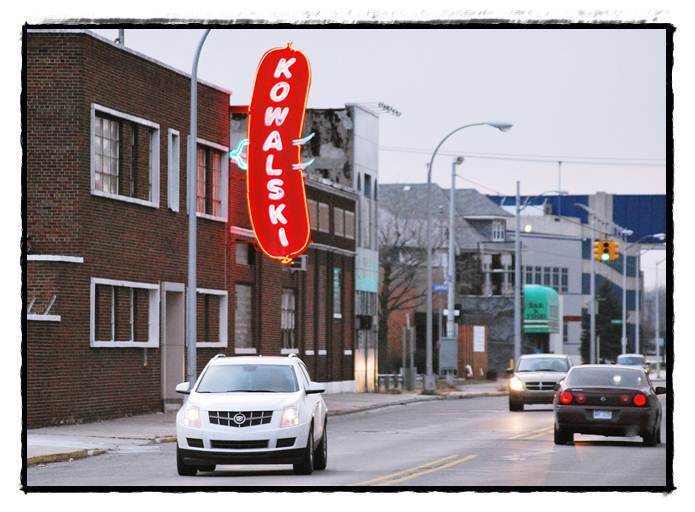 Kowalski Sausage Co. isn’t moving any time soon. That’s the word from the city’s Director of Community & Economic Development, Jason Friedmann. Friedmann said Kowalski has pulled out from a deal to purchase a building in Madison Heights and move its operation there. “It means we have more time,” Friedmann said in reference to Hamtramck’s attempt to find a way to expand the plant or relocate it here. So far, there has been no success locally. “We’re trying to figure out what other options we have,” Friedmann said. The president of Kowalski, Mike Kowalski, did not return a call for comment. 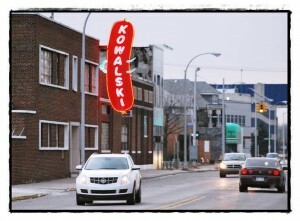 Kowalski Sausage is Hamtramck’s oldest company, having been here for 90 years. The company has long been rumored to be looking for a larger plant. It now operates out of three separate facilities in town. Company officials told city officials that they need to consolidate their operation into one building. One idea that almost worked out was for Kowalski to purchase one of the plants owned by American Axle & Manufacturing, just down the street from the current plant on Holbrook. City officials are concerned that losing Kowalski will be a blow to attracting businesses. Although the plant has long been an iconic landmark in town, with its unique Sausage-shape neon sign, it does not actually produce much money for the city, tax-wise. Hamtramck collects about $40,000 from income and property taxes from the company each year. State officials are also helping the city keep Kowalski located here by offering tax incentives and development aid. Friedmann said it’s been a frustrating process because Kowalski often doesn’t return calls.